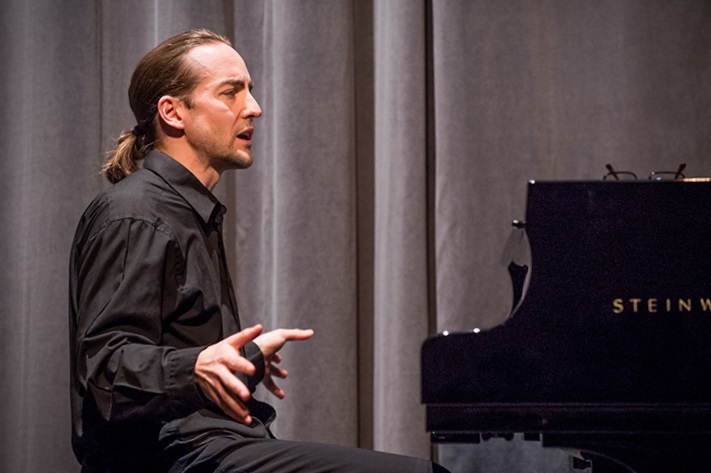 The Kincardine Summer Music Festival is delighted to welcome back Marc Pierre Toth, concert pianist, Friday October 19, 7:30pm at the Kincardine United Church. Mark has embarked on a tour of the Beethoven Sonatas in Germany, and at this time is presenting Parts 3 and 4 of this amazing Beethoven “Cycle” in Ontario. Kincardine has been fortunate to host Marc’s two previous Beethoven events. Everyone enjoyed his discussion of Beethoven’s life and works in a very knowledgeable and witty manner. But we were amazed at the commitment and musical genius of his passionate recital. We are anticipating another Beethoven extravaganza experience and don’t want you to miss it! Tickets $25, available through the new KSMF Box Office, Rose Harbour Boutique, 787 Queen St, Kincardine; Ralph’s Hi-Way Shopette, Port Elgin, online at Tickescene and at the door. Age 16 and younger free!